Girlfriend Gift features a 2 oz. size of our best-selling Peace of Mind Honey Body Scrub, Petal Tinted Sweet Lips made with honey, and a bar of our famous Milk and Honey Soap in a beautiful hand-stamped Waxing Kara muslin sack. Treat your girlfriend(s) to some bee love goodness. Earn 25 Points when you purchase this item! Girlfriend Gift is designed to brighten her day. Did your girlfriend just get promoted at work? Do you have bridesmaids to treat? No matter the occasion, Waxing Kara’s Girlfriend Honey Gift is to the rescue. All of our body products (and honey) are made by hand in the USA. 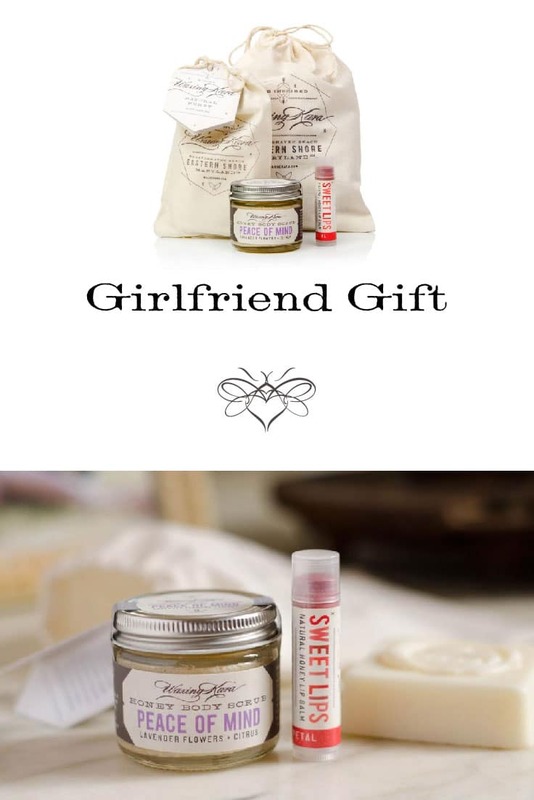 The Girlfriend Honey Gift is a lovely token of appreciation that any girlfriend would be glad to get. Perfect for weddings, holidays, birthdays, or any special occasion. Packaged in a beautiful hand-stamped Waxing Kara canvas bag. Always free from parabens, sulfates, petroleum, artificial colors and fragrances, and completely cruelty-free. Sweet Lips Tinted Lip Balm: to nourish the lips and provide a pop of color. Milk and Honey Soap: a sweetly scented and sudsy cleanser. 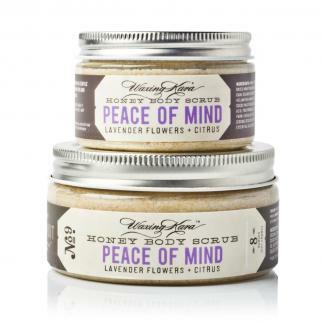 Peace of Mind Body Scrub: honey crystals and plant butters to polish and exfoliate the skin.